Greek prime minister Alexis Tsipras is going to present a new proposal for reforms at the EU summit later today, in the hope of securing a last minute bailout package. Jean-Claude Juncker, head of the European Commission, said in a speech to the European Parliament that his aim is to prevent Greece from leaving the Eurozone. My aim is to prevent Grexit. I am against Grexit... It is time to stop these outbursts, this shooting from the hip. 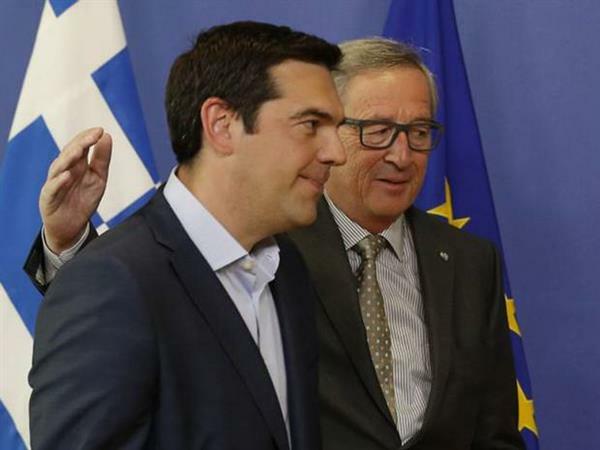 It is unacceptable for the European Commission to be deemed terrorists by the Greek government. That is not the kind of Europe we want. We have tried hard and if only everyone else had tried as hard.